Published August 1, 2018 by admin. Whether you are concerned about a suspicious mole, or keen to keep a close eye on all your skin changes, our Nurse Consultant in Dermatology at Elan Medical Skin Clinic in Rayleigh, Essex can provide you with the reassurance that you will receive the correct diagnosis in a timely fashion. 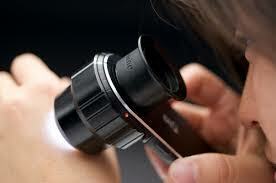 Appointments for skin cancer screening or mole checks can normally be booked within a few days. For the small number of patients diagnosed with skin cancer, a proactive approach is more likely to lead to less treatment and an improved cosmetic and overall outcome. Although the majority of moles that present with these clinical signs will not be cancerous, a small proportion will contain malignant cells and may require further treatment following initial mole removal. 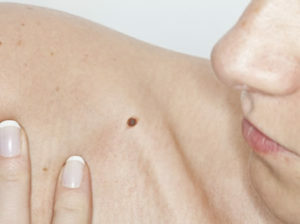 Black or dark brown moles may be a sign of melanoma, the most dangerous form of skin cancer that can result in patient mortality. If you have noticed any of the above features you should consider seeking medical advice. This fast-track service is for anyone that wants a mole removing because it is suspicious of cancer or they feel it is unsightly. You can book an appointment at our Medical Skin Clinic in Rayleigh, Essex. Moles removed within the clinic will be sent to a pathologist for interpretation. You can either call Elan Medical Skin Clinic on 01268 770660 between 9.30am and 5pm Monday to Saturday or you can book your skin cancer screening appointment by going to our online booking form and one of our reception team will contact you by phone or email, whichever you prefer. You will be asked to pay your initial consultation fee by credit or debit card on confirming your appointment.